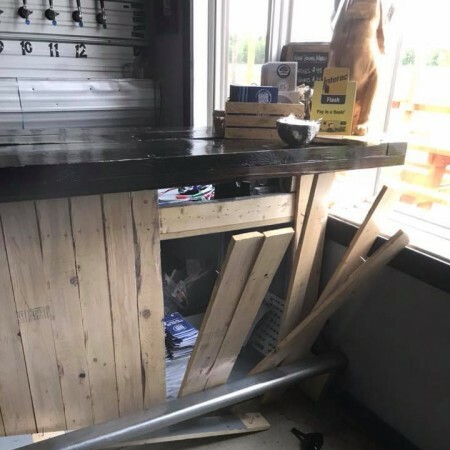 HILLGROVE, NS – Roof Hound Brewing is asking for assistance from the local community following a break-in over the weekend. Thieves drove behind the building damaging septic and possibly getting stuck. Broke the back window and stole our safe, till with cash and a few bottles of beer and funny enough stole three growlers full of water from the fridge. They left behind an axe, pocket knife, lighter and blood and finger prints. Barr went on to request that anyone with information about the crime contact the RCMP, and also asked locals “show your support by coming in for a pint and or meal”. For more details, see Barr’s Facebook post, and coverage of the story by StarMetro Halifax.